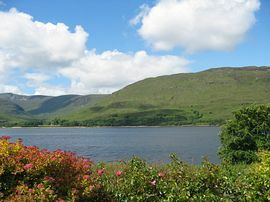 A warm welcome awaits you at Torlinnhe Guest House, situated just one mile from Fort William, with views of Loch Linnhe and the mountains beyond. Torlinnhe is open all year and can offer special rates for longer stays. We accept most major credit/debit cards. 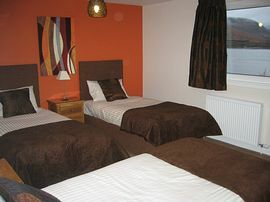 We have one room with three single beds, one double bedded room, a single room and three which can be configured as either doubles or twins. 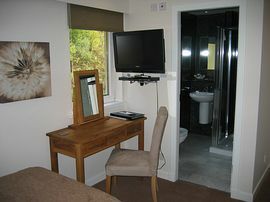 All our rooms have en-suite showers, toilets and wash hand basins. 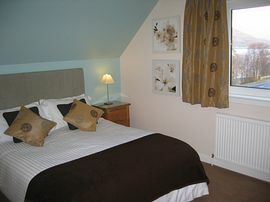 Each room is equipped with the very latest LCD TV's and DVD players, complimentary eco-friendly toiletries, complimentary tea/coffee making facilities, hairdryers and free wireless Internet access. We welcome Cyclists and Walkers and have secure storage for cycles and a drying room for wet gear. 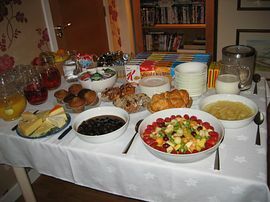 Enjoy a traditional Scottish breakfast with spectacular views of Loch Linnhe and the mountains beyond. Or you might like to try one of our alternative dishes; Breakfast Cranachan is a delightful combination of raspberries, yoghurt, Scottish honey and toasted oatmeal or tasty Smoked Salmon Scramble with Oatcakes. To support our local businesses and to give you a real taste of Scotland, we endeavour to use only the very best of local produce. We don't do evening meals but toasties are available until 8.30 pm. Alternatively, we would be very happy to make a reservation for you at one of Fort William 's excellent restaurants. If you'd like a relaxing day, please feel free to use our lovely lounge for as long as you wish to enjoy the spectacular view. See the boats go by on the loch or watch our unusual and sometimes dramatically entertaining eco-friendly wood burning stove in action! We'd be happy to serve you coffee, tea or delicious hot chocolate topped with cream and a flake, perhaps accompanied by Sue's home made scones with Scottish raspberry jam. We are approximately 1 mile south of Fort William on the A82. From the south - we are half a mile past the Caledonian Hotel. To book you can telephone us, email us or visit our website and book securely online.